Up for a small test?! 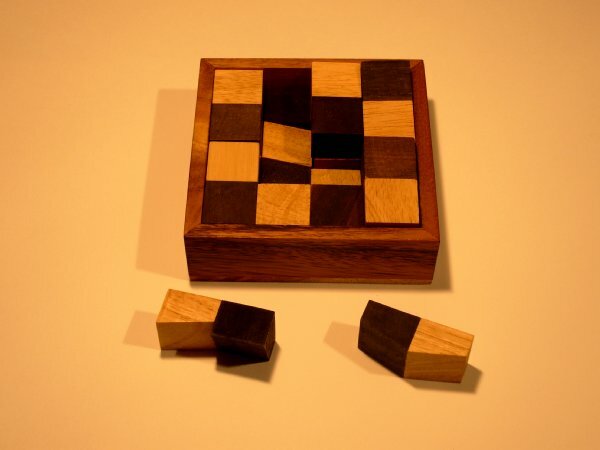 See if you can solve these chess problems! Use resources if you need to, but don't ask other people for help or it won't really be a test of your brainpower. And keep challenging your mind with quizzes and games. More mental stimulation = less mental aging! 1. 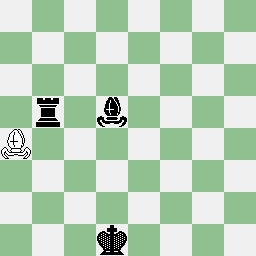 Whilst having a "friendly" game of chess, White's King has been accidently knocked off the board. Unfortunately no-one can remember who's move is it next and which square White's King was on. who's move is it next?! You'll need to show the previous few moves to corroborate your claim! For the solution, click here! It's White's turn to move. Will he be able to checkmate? 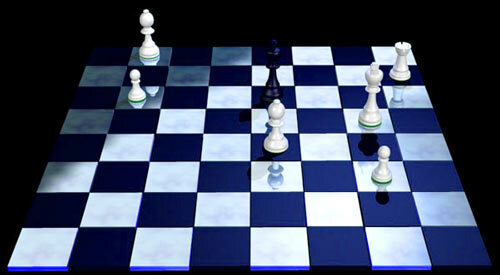 To clarify the illustration, White has two pawns, two bishops, a king, and a rook. Black has only his king left. You can see the solution here! 3. How many squares are on a chess board?! 4. After the world chess championships a man walks in and boldly announces will play their 10 best players at the same time and bet $10,000 that he will make at least five points. His rules are simple, the ten best chess players will sit at tables arranged in a circle around him. 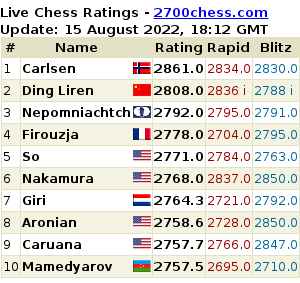 To be fair he will let 5 of them make the first move and he will make the first move on the other five games. They flip coins to decide which five will go first. They will use an official chess clock and he will require no more than 30 seconds per move. The chess champs have never heard of this man and think there is no way some nobody could ever be good enough to beat even one of them! They quickly decide who their 10 best are and line the tables up and start to play. A few hours later the man amazingly wins his beat. How did the man know he would win? This is a video cut from "Trick of The Mind" series aired in the UK. The clip here is taken directly from Season 1 - Episode 1. I was wondering: is there any Fide Law which take this trick into consideration?! What if, in a team competition, the weaker team will use it? !